How will the heartthrob play among an older, more disgruntled crowd? Ladies and gentleman, this is a landmark moment at livingthedream.org. Here in our fifth music tournament, we witness the LTD debut for Mr. Justin Bieber. Just the other day I was remarking how incongruous his megafame is with how many memorable songs he has. Invariably, when I say this, the best my friends can do is hum a line or two from “Baby.” I’ll approach this match-up with an open mind, and I hope you do too. Lot’s of other goodies below. Listen here (except Boyfriend/Girlfriend) and vote by commenting below before 11:59pm EST Friday. 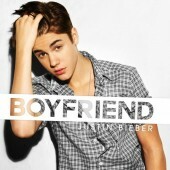 vs. Boyfriend/Girlfriend (Justin Bieber/ N’Sync mash-up) 4 Hard to appreciate this mash up since I don’t know either song. It just kind of sounds like pop. Why did these two have to go head to head? Another day, another brutal first-round match-up. Sorry, Jacob, twas’ completely random. DWNTWN grew on me. I really liked First Light though it felt like it was ready to go into a long instrumental jam there, but it didn’t. I wish it would’ve. This mashup was effective enough that i kept waiting for justin beiber to come in, not realizing that he was there all along? Regardless, a good pop song is a good pop song. This is the 3 songs today so far with horns. Excellent. Yeah, a surprisingly cool song from Modest Mouse. This did not brighten my day. Ahhh, that was a relief. Much better. Thank you Aziz. This was a cool matchup. Both songs are getting added to my playlist – definitely fun. Thanks to whoever nominated these! i can’t listen to this without getting super pumped. crank it up! i never managed to really get into modest mouse, but this is probably my favorite. brings me right back to seattle 2008.
another fine day in pct-land! The mash-up reminds me of this girl who used to sing during track practice. She was funny. Good round today. I’m simultaneously impressed and offended that someone nominated something involved Justin Bieber and N’Sync to this fine music tournament. I’m voting here against my own better judgement. I don’t think it fair that I already have a negative predisposition toward pop and boy bands, thus before listening I have already made up my mind that I’m not going to like anything that I’m about to hear. And after listening to this mash-up it has just reaffirmed my disposition. Mama’s Eyes won just on principle, but not a bad song. I hate myself for this. I love Stevie Wonder and Sir Duke is easily one of my many favorites, but I have heard it A LOT and right now I’m in the mood for new things. This round goes to a solid effort by Modest Mouse. I honestly don’t think the song deserves a 9, but since in my mind Sir Duke is at least a 9 I have to rate Dashboard at least equal to what I would likely grant Sir Duke. Convoluted thought process. Both songs gave me that “meh” feeling. Thoughtless sounded a lot like a poor Alice In Chains imitation. Dashboard is right up my alley. I really liked both of these. Kinda need some Friday music and the first three weren’t doing it for me. Luckily Sir Duke and MM are coming up.